Freely roam a fully 3D-rendered mystical forest together with Mylne, a young girl residing at a magical apothecary! One day, Mylne’s grandpappy, a master apothecary, requests that she find and gather some potion ingredients. Though no stranger to the forest and its curiosities, gathering ingredients is a first for Mylne, and she is at a loss of where to begin. You, esteemed players, are tasked with ensuring that Mylne becomes a master apothecary. You’ll laugh, you’ll cry! The mystical forest is chock full of small wonders! Fishing, trivia, training, and even dungeon exploration awaits you! Includes a plethora of fun minigames! Your free-roaming adventure begins! Marchen Forest: Mylne and the Forest Gift was released on PC 339d ago in the US and the UK. 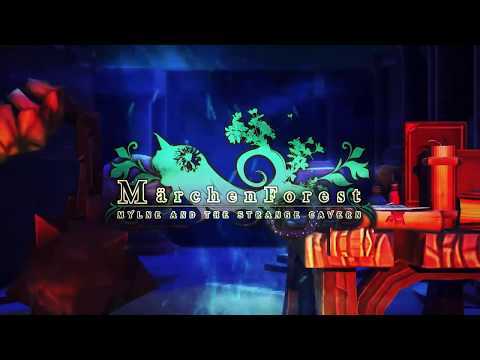 The upcoming Marchen Forest: Mylne and the Forest Gift PS4 and Switch release date is expected to be 2019 in the US and the UK. Notify me when Marchen Forest: Mylne and the Forest Gift is available.